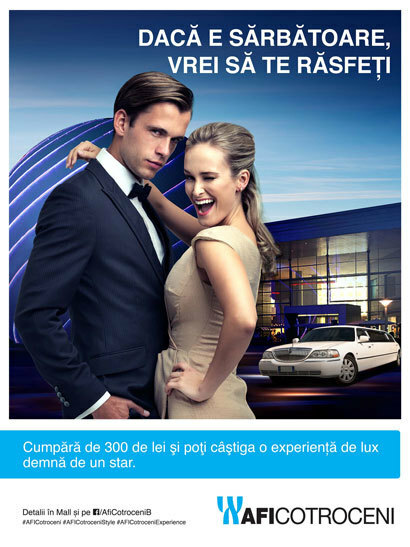 “Win a luxury experience with AFI Cotroceni” challenges the shopping center customers to redefine their look and to discover the latest trends in fashion, beauty, technology and entertainment. 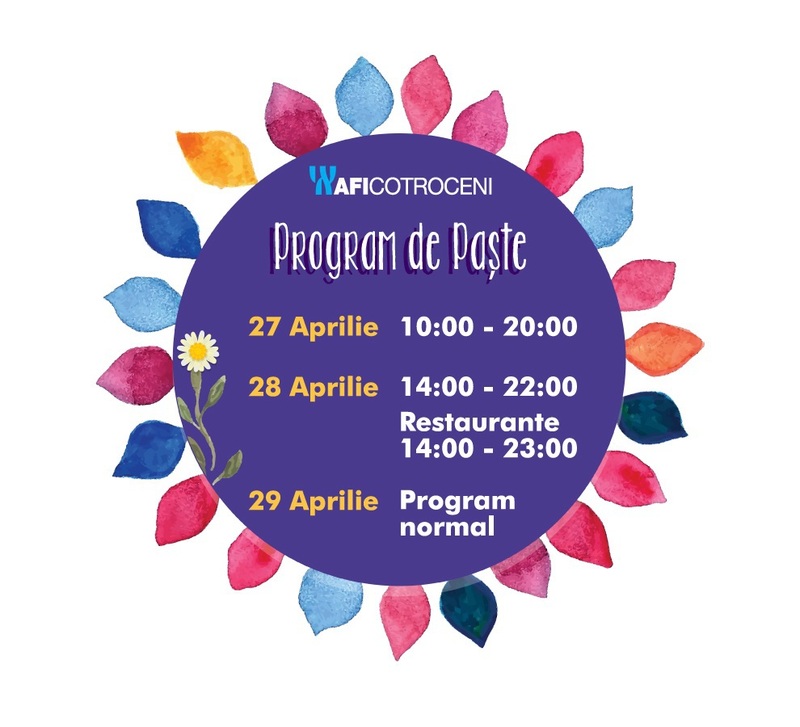 Until 14th April, you have an extra reason to visit AFI Cotroceni: anyone who buys of more than RON 300 can sign up for Easter Raffle, by turning shopping sessions into benefits, promotions and surprises. The big prize is a five star experience, worthy of a star, which includes a great spoil for two. The winner, together with somebody who loves, will be brought to AFI Cotroceni by limousine, being welcomed on the red carpet by a personal assistant, who will be at their disposal all day long. The next step will consist in choosing a super star outfit from the partner stores, as well as in a beauty session which will prepare them for a special dinner and a movie in the VIP room of Cinema City. The prizes offered within the Campaign amount to more than RON 8,000.